I sat with a girl friend tonight. We have known each other through 10 years of life. She is one that encourages me often and lifts me up when I am feeling down. But tonight it was her tears gushing, spilling, and flooding our moments. were flowing freely from her mouth. I have been there. I have felt the same sense of emptiness she was feeling. Can I assume you have been there too? 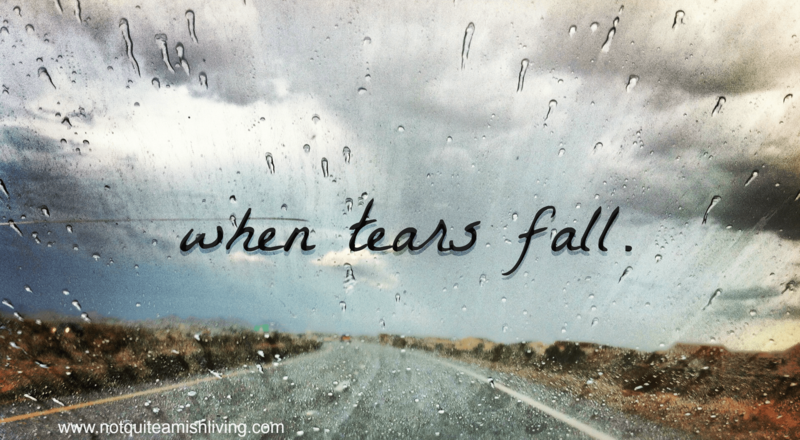 Please join me on Not Quite Amish to find out where to go when the tears fall.